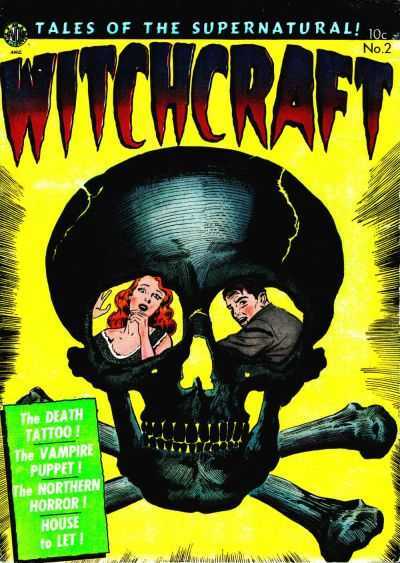 Fantastic PreCode Horror Black Skull Cover. Can not figure out who the artist is for the cover though this issue does feature a 1 page story by Joe Kubert. Nearly impossible to find, one CGC 4.5 keeps recycling on ebay with no bids @ 350.00+. Outside of that this book seems to be truly scarce. 8 Universal copies on the CGC census, one single 9.0 at the top. Outside of the 4.5 on ebay, I assume the rest of the copies have been tucked away into personal collections. 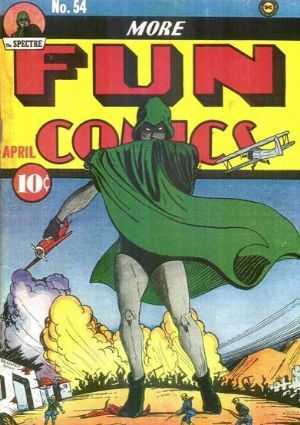 Perhaps the greatest of all the Specter covers in his short run. Amazing Pencil and Inks by Bernard Baily. As with all Specter covers, fireworks go off when this book comes to market. 22 Universal copies on the CGC census with 2 topping the chart @ 9.2 and bottoming out with a single 1.8. Also represented are 11 Restored copies. That witchcraft book is great. Love the yellow cover. Hopefully I can find one. Having good luck recently. Great picks this week – that Witchcraft cover rocks. Yeah but no Cover artist, unless I am missing it. Thanks again Ben! That More Fun cover is Spectrecular! Thanks for this write-up. Great stuff! awesome as usual! I love collecting old school yellow covers.